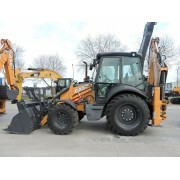 Backhoe: Loader Komatsu WB97S-5EO Year of manufacture: 2012 Operating hours: 3.670 h. Chassis: Engine: Iveco F4GE9484F*J601 (74,0 kW / 100,6 PS) Euro-3A/EPA/Tier3 Tyres: 16.9 x 28-12PR ..
Экскаватор-погрузчик / Baggerlader / Backhoe Loader Komatsu WB97S-5EO Год выпуска / Baujahr / Year of manufacture: 2015 Отработано моточасов / Betriebsstunden / Operating hours: 15 h. Шасси пневмоколесная / Fahrgestell / Chassis: ..
Экскаватор-погрузчик Terex Fermec 970 Elite Год выпуска / Year of manufacture: 2004 Отработано моточасов / Operating hours: 4.550 h. Шасси пневмоколесная / Chassis: Двигатель / Engine: 1104D-44T (74,5 kW / 100 PS) Euro-3A/EPA/Tier3 Автоматическая коробка передач / Powershift Trans..
Backhoe Loader: CASE 580ST Year of manufacture:2018 Operating hours: 7 h. Engine: FPT F5BFL413B (72kW / 97,8 PS) Euro4/Tier4-final Сhassis- 4WS: Wheelbase: 2.175 mm Tyres front axle: 12.5/80-18 Tyres rear axle: 18.4 x 2..
Backhoe Loader: Case 695ST Year of manufacture:2018 Operating hours: 7 h. Engine: FPT F5BFL413A (82kW / 110 PS) Euro4/Tier4-final Сhassis- 4WS: Wheelbase: 2.175 mm Tyres oll axle: 16.9 x 28 Max Speed: 35 km..
Backhoe Loader: JCB 3CX ECO Year of manufacture:2019 Operating hours: 3 h. Сhassis- 4WD: Engine: JCB EcoMax (55,0 kW / 74,0 PS) Euro4/EPA/Tier4f Tyres front axle: 12.5 x 18 10 PR Tyres rear axle: 18.4 x 26 Max. 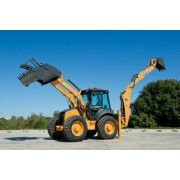 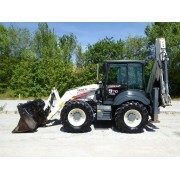 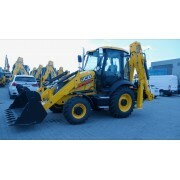 Travel sp..
Backhoe Loader: JCB 4CX ECO Year of manufacture:2019 Operating hours: 5 h. Сhassis- 4WD: Engine: JCB EcoMax – 4.400 cm³ (81,0 kW / 110,0 PS) Euro3B/EPA/Tier4f Tyres: MICHELIN POWER CL - 440/80-28 Max. 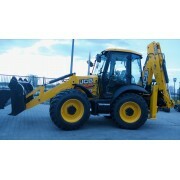 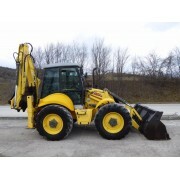 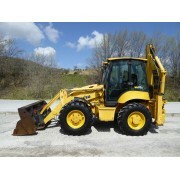 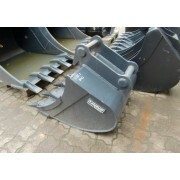 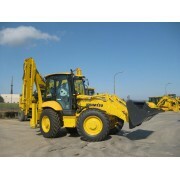 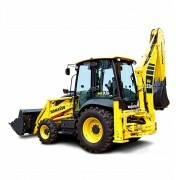 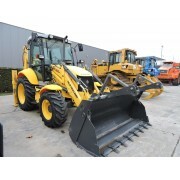 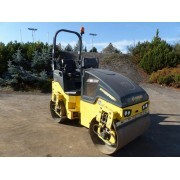 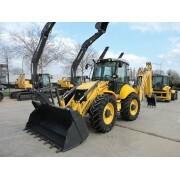 Travel speed: 41,8 km/h ..
Backhoe Loader: KOMATSU 93R-8 Year of manufacture:2019 Operating hours: 3 h. Сhassis- 4WD: Engine: Komatsu SAA4D99E-1 – 3.400 cm³ (75,0 kW / 102,0 PS) Euro4/EPA/Tier4f Tyres front axle: 12.5 x 80 R18 10 PR Tyres rear axle: 16.9 x 24 – ..
Экскаватор-погрузчик / Baggerlader / Backhoe Loader New Holland B 115B Год выпуска / Baujahr / Year of manufacture: 2008 Отработано моточасов / Betriebsstunden / Operating hours: 4.970 h. Шасси пневмоколесная / Fahrgestell / Chassis: ..
Backhoe Loader: New Holland B110B TC Year of manufacture:2015 Operating hours: 7 h. Engine: FPT Industrial (80,9 kW / 110 PS) Euro-3B/Tier-3 Сhassis- 4WS: Wheelbase: 2.175 mm Tyres front axle: 12.5/80-18 Tyres rear axle..
Backhoe Loader: New Holland B 115B Year of manufacture:2015 Operating hours: 27 h. Chassis: Engine: CNH 445TA/EGH (82,0 kW / 112 PS) Euro-3B/Tier3A Tyres oll axle: 16.9 x 28 Max Speed: 39 km/h Measures ov..